Massage is relaxing for the baby. Stimulates circulation, digestive and neurological development. Helps relieve pain of colic, gas, illness and teething. The emotional well-being through bonding with the parents. Gentle care and protection of babyA s sensitive skin. Emollient with 95% natural soya oils. High content of vitamin F, a soya oil compound, insures high skin tolerability. Explore the entire range of Creams, Lotions & Oils available on Nykaa. 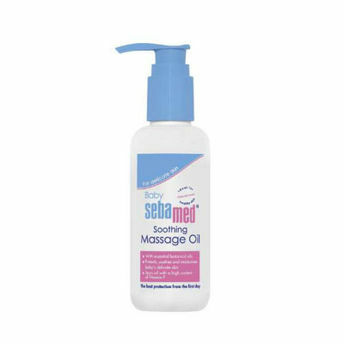 Shop more Sebamed products here.You can browse through the complete world of Sebamed Creams, Lotions & Oils .